One of the biggest signs people are missing out on one of the most profound truths ever recorded for us in the Bible occurs on Resurrection Sunday. Every year it seems you walk up to these people and you ask them what Resurrection Sunday is all about and why they’re here and they say the same thing, “I don’t know. We always come to Church services on this day.” Here’s a sign they’re missing out on the greatest truth of all; that Jesus Christ really did rise again from the grave so that we could be rescued from hell. Therefore, this study, The Proof of the Resurrection, not only shows us the importance of the Resurrection, in that, Jesus is Trustworthy, He’s God, and the Only Way to Heaven, but it also shows us the solid logical proofs that Jesus rose again from the grave. Such proofs are the Female Proof, the Location Proof, the Silence Proof, the Excuse Proof, the Witness Proof, and the Changed Proof. Jesus Christ really is alive today and that means our faith in Him is not futile, we really have been forgiven of all our sins, and we really are headed to heaven. Don’t miss out on this amazing truth! 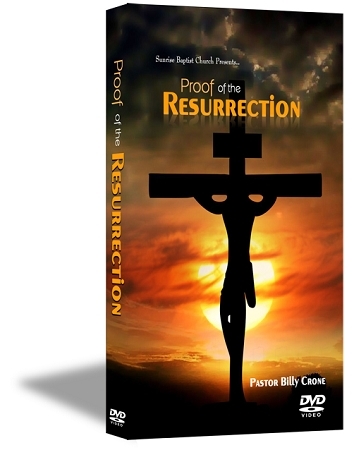 Get your copy of The Proof of the Resurrection today!